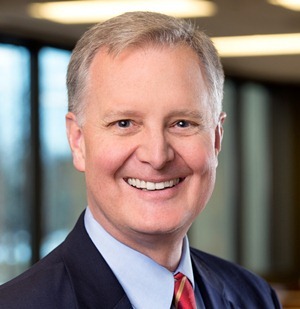 MINNEAPOLIS — Todd Hall, a 32-year veteran of Cargill, has been named to the Cargill Leadership Team (CLT), the executive group in charge of Cargill’s strategic direction, growth and capital allocation. Hall joined Cargill 1982 and held general management positions with the animal nutrition businesses until 1998. At that time, he joined the animal nutrition leadership team and worked with businesses in Southeast Asia, Europe and the United States. In 2001, he oversaw Cargill’s acquisition of Agribrands International, which was Cargill’s largest acquisition at the time. Hall was appointed president of Cargill Animal Nutrition in 2004. In 2008 he became a platform leader, most recently focusing on poultry operations in Central America, China, Europe, Thailand, and the United States. In addition to Hall, the CLT includes CEO MacLennan; Bill Buckner, senior vice president; Paul Conway, vice chairman; Emery Koenig, vice chairman and chief risk officer; and Marcel H.M. Smits, executive vice president and chief financial officer. Buckner will retire in 2015 after 27 years with Cargill. He will step down from the CLT in February. Buckner helped build Cargill’s meat and poultry businesses and has been closely involved with the company’s food safety efforts.